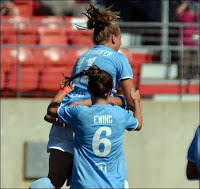 LISLE, Ill. -- The Chicago Red Stars (11-2-0) and Orange County Waves (13-1-0) provided plenty of drama. In the end, it was Tanya Taylor's 101st-minute goal that proved to be the difference as the Waves won, 2-1, in overtime to earn the 2011 Women's Premier Soccer League National Championship on Sunday at the Village of Lisle-Benedictine University Sports Complex. The Waves appeared to have the title wrapped up in regulation with a 1-0 lead. But Red Stars midfielder Julie Ewing scored a dramatic game-tying goal in the 88th minute to send the match into two 15-minute overtime sessions. Michele Weissenhofer had the setup with a flip throw-in from the right side. The ball juggled around in the middle of the box and Ewing converged to tie the match at 1-1. LISLE, Ill. - The Chicago Red Stars fended off a pesky Tampa Bay Hellenic side and earned a 2-1 victory on Saturday in the second Women's Premier Soccer League National Semifinal played at the Village of Lisle-Benedictine University Sports Complex. The Red Stars (11-1-0) face the Orange County Waves (12-1-0) in Sunday's WPSL National Championship, which kicks off at 1 p.m. The Waves defeated defending WPSL champion Boston Aztec (8-3-3) by a 3-0 score in the first National Semifinal. On Saturday, Red Stars forward Michele Weissenhofer had a goal and assisted Chicago's second and game-winning tally from Julie Ewing. For Hellenic, Tatiana Mathelier netted a goal to cut Tampa Bay's deficit to 2-1. But the Red Stars held on the rest of the way. "We were trying to find our rhythm a little bit, and we never really found our rhythm today," Red Stars Head Coach Rory Dames said. "We're going to need to show up [against Orange County] and play better than we did today. [OC Head Coach] Abner [Rogers] always does a good job with his teams. They'll get the ball down, they'll play some sort of three-front [formation], they'll try to find seams and try to do a lot of service into the box. We're just going to have to be intelligent enough to play where we have the numerical advantages and break them down." 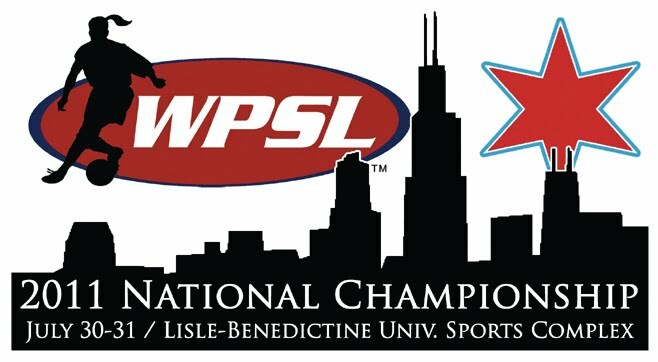 CHICAGO -- The 2011 Women's Premier Soccer League Championship field is set, with four organizations making their way to the Village of Lisle-Benedictine University Sports Complex out of a 62-team field. The host Chicago Red Stars face Tampa Bay Hellenic in the second semifinal match this Saturday at Benedictine (3 p.m. kickoff). The defending WPSL champion Boston Aztec Breakers Reserves open the tournament against the Orange County Waves at 1 p.m. On Sunday, the semifinal winners square off in the 2011 WPSL National Championship at 1 p.m. at Benedictine. The host Red Stars (10-1-0) won the Midwest Conference and take on Tampa Bay Hellenic (10-1-1), the winner of the Sunshine Conference. Chicago joined the WPSL this season after two campaigns in Women's Professional Soccer, and needless to say the Red Stars are currently the hottest team in the league with a 10-game winning streak. The Red Stars are led by Michele Weissenhofer, who has nine goals, eight assists and 26 points; and Amanda Cinalli, who leads Chicago with 10 goals while also contributing an assist and 21 points. The Red Stars have been dominant both offensively and defensively all season. During Chicago's past six matches, the team has outscored its opponents by a staggering 30-0 margin. For the year, the Red Stars have an incredible 43-4 scoring advantage. CLICK HERE for the live webcast for both semifinal matches. 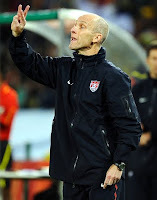 Former Chicago Fire head coach Bob Bradley's tenure as the U.S. National Team head coach has ended. U.S. Soccer announced Thursday that he has been relieved of his duties for the national squad. "I was shocked, just like you and most people were," Fire interim head coach Frank Klopas said Thursday after the team's training. 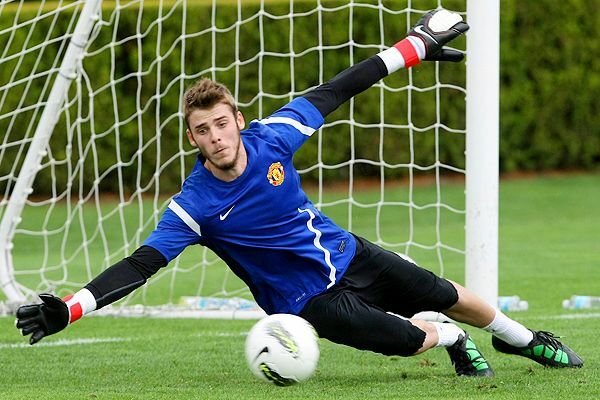 "I was on a flight back and someone told me at training. Obviously I have tremendous respect for Bob. He coached me here for two years -- very memorable years. And I was on the staff with him for a year. So to tell you the truth, I'm shocked." Also on Thursday, the Fire traded defender Dasan Robinson to Toronto FC on Thursday in exchange for defender Dan Gargan and Toronto's 2012 MLS SuperDraft second-round selection. "We had an opportunity to acquire another defender and provide depth for our club," Toronto head coach Aron Winter said on the team's official web site. "... Dasan brings us depth and versatility because he can play central defense or right back." CHICAGO -- The Women's Premier Soccer League, Chicago Red Stars and webcast partner Ollin Omnimedia announce that the 2011 WPSL Semifinals and Championship will include a live webcast of three matches this Saturday and Sunday as the Red Stars host the event at the Village of Lisle-Benedictine University Sports Complex in Lisle, Ill. The webcast schedule features Saturday's semifinal matchups of the Orange County Waves vs. Boston Aztec Breakers Reserves (1 p.m. kickoff) and the Chicago Red Stars vs. Tampa Bay Hellenic (3 p.m. kickoff); then the WPSL National Championship at 1 p.m. Sunday. The 2011 WPSL National Championship webcasts will be accessible at www.ChicagoRedStars.com and www.WPSL.info. "WPSL and the Chicago Red Stars know it is important to make sure that fans across the country can see our Championship teams compete this weekend," Red Stars Owner Arnim Whisler said. "... WPSL and the Championship teams are proud of the product that they have on the field. Broadcasting and webcasting are part of a commitment to being in an elite league, and the games should be available to fans who cannot attend." The season-long Pavel Pardo rumor mill finally has an MLS tag tied to the luggage. The destination: the Chicago Fire. The Fire announced Tuesday that they are bringing in the Mexican international on his 35th birthday, coincidentally. In the process of freeing up an international spot on their roster, the Fire released midfielder Bratislav Ristic. Fire interim head coach Frank Klopas had publicly dismissed this possibility of Pardo's signing about a month ago, but apparently the big picture changed dramatically from the team's perspective over the past several weeks. "Pavel's international credentials and track record as a professional were defining factors in us bringing Pavel to the Fire," Klopas said in a statement. "He will provide additional depth in the midfield as we push for a playoff spot in the second half of the MLS season." The four Women's Premier Soccer League semifinalist field is set when the Chicago Red Stars host the 2011 WPSL National Championship from July 30-31 at the Village of Lisle-Benedictine University Sports Complex in Lisle, Ill. The Red Stars face the Tampa Bay Hellenic at 3 p.m. Saturday, and the Boston Aztec Breakers Reserves face the Orange County Waves at 1 p.m. Saturday. The semifinal winners meet for the WPSL Championship at 1 p.m. Sunday. The Chicago Fire could not have asked for a better start against the Premier League's Manchester United on Saturday. They earned an early goal in front of a packed Soldier Field crowd and left a good early impression in their World Football Challenge match. 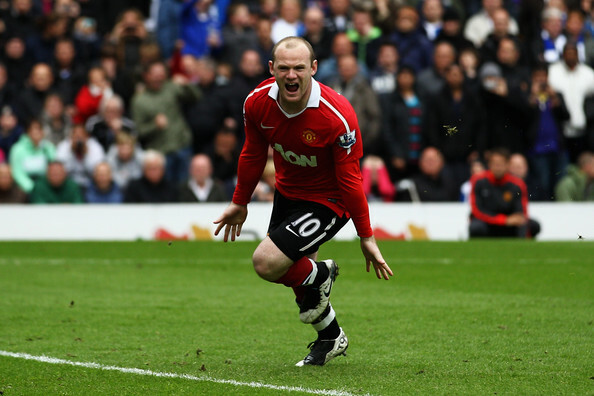 But ultimately the Red Devils' top weapons prevailed, entering the match in the second half and eventually earning a 3-1 victory in front of 61,308 red-clad fans. "For me, more than anything, we made the game competitive," Fire interim head coach Frank Klopas said. When the Chicago Fire host Manchester United on Saturday, they are hoping to hold their own against one of sport's most famed franchises. BRIDGEVIEW, Ill. -- Chicago Fire midfielder Patrick Nyarko and forward Dominic Oduro exemplify the type of international draw that Manchester United has. The Ghanaian duo has followed Man U's brand of soccer since they were kids. And like tens of millions of other Red Devils fans, they have appreciated everything from afar. That changes when the Fire face the defending Premier League champs at 4 p.m. Saturday at Soldier Field (ESPN2) as part of the World Football Challenge. "I've never been to Old Trafford," Oduro said. "I've only seen them on TV, but I've enjoyed it a lot. For me to be on the field with them, this is just going to be a dream come true. It's an amazing feeling. ... Hopefully I can score a goal against them." "My family was in tune with the Premiership, and I picked Man United," Nyarko said. "I couldn't tell you why to this day. At some point I just picked them. Most of it was just the sake of argument at school, so we would talk about the passion of foreign teams in the EPL. I watch every single game that I can. They're an amazing team." CHICAGO -- The Chicago Red Stars announce a special pre-sale for the 2011 Women's Premier Soccer League Semifinals and Championship, which take place from July 30-31 at the Village of Lisle-Benedictine University Sports Complex in Lisle, Ill. Fans who book their seats before July 25 will have an opportunity to take advantage of discounted ticket rates for the semifinals and championship. 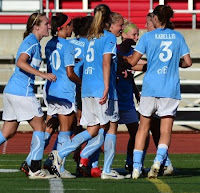 DUBLIN, Ohio -- The Chicago Red Stars captured the Midwest crown on Sunday with another convincing victory, posting a 4-0 win over Midwest-North Division rival FC Milwaukee Nationals to advance to the quarterfinals of this year's Women's Premier Soccer League playoffs. Leading the way for Chicago was Michele Weissenhofer (Naperville, Ill.) with two goals. Julie Ewing (Batavia, Ill.) and Amanda Cinalli (Cleveland, Ohio) also tallied scores as Chicago advances to face Tampa Bay Hellenic next weekend in Tampa, Fla.
BRIDGEVIEW, Ill. -- After going eight straight games without a defeat, the Chicago Fire find themselves in a bit of a skid, posting a second straight loss to the Portland Timbers, 1-0, on Saturday in front of 16,419 at Toyota Park. The expansion Timbers swept the season series against Chicago this year, and Saturday marked Portland's first road victory after going 0-5-2 in its previous seven road matches. Chicago (2-6-12) has lost back-to-back games after falling to the Los Angeles Galaxy the weekend before. "We knew it was a must-win game for us in terms of just mental preparation," Fire defender Cory Gibbs said. "We're not saying that our season is over. But mentally it was a game that we ... not had to win, but we wanted to win for our fans. It didn't go our way." The difference was a questionable penalty kick call and ultimate PK goal by the Timbers' Jack Jewsbury in the 25th minute to give Portland (6-9-3) the 1-0 lead. DUBLIN, Ohio -- The Chicago Red Stars opened their first Women's Premier Soccer League postseason match in style with a 4-0 victory over two-time WPSL champion FC Indiana on Saturday at Dublin Jerome High School. Midfielder Amanda Cinalli (Cleveland, Ohio), the Red Stars' goals leader during the regular season, scored two goals in her home state to lead Chicago on Saturday. Forward Michele Weissenhofer (Naperville, Ill.) and midfielder Julie Ewing (Batavia, Ill.) also added goals, and goalkeeper Jamie Forbes (Batavia, Ill.) posted two saves for the clean sheet. The Red Stars topped an FC Indiana organization that had won the WPSL during the 2005 and 2007 seasons. Visit WPSL.info for more WPSL news. BRIDGEVIEW, Ill. -- The Chicago Fire's worst match on record this season is their 4-2 loss during the Portland Timbers' home opener on April 14. It marked goalkeeper Sean Johnson's worst performance and a demotion behind Jon Conway. The Fire trailed by a season-high three goals at one stage. And the game included an own goal for each team. The Fire hope for a complete reversal when they host the expansion Timbers for the first time this Saturday at Toyota Park. "There were a lot of elements that went into that game," Fire captain and defensive midfielder Logan Pause said. "We not only dropped points and didn't play well, but it was their opening of the stadium. Both of us are fighting for points right now. We're coming off a good result Tuesday, so hopefully that will give us some momentum." Despite only two victories in the books, the Chicago Fire are looking to solidfy their midfield to make a run toward the playoffs. They went out and signed Argentine midfielder Sebastian Grazzini on Wednesday, and he will be added to the team's roster when the international transfer window opens this Friday. Between the play-in matches and an opening-round game, the Chicago Fire have posted more victories in the 2011 Lamar Hunt U.S. Open Cup (three) than they have during the MLS regular season (two). Fire personnel have stated on more than a few occasions that they are taking this year's Open Cup seriously, and they hope to advance past the quarterfinals when they host their fellow MLS side New York Red Bulls on Tuesday at Toyota Park. The Red Bulls and Fire are both coming off Saturday losses in MLS play. New York fell to D.C. United, 1-0, while Chicago suffered a 2-1 loss to the Los Angeles Galaxy. CHICAGO -- The Chicago Red Stars' final regular-season game in Women's Premier Soccer League play has been canceled. The Red Stars were scheduled to play Eclipse Select for a Tuesday match open only to Red Stars Supporters Club members. But because the game will not impact the standings, both teams and the league have agreed to allow the match to not be played. The game will not be rescheduled. The Red Stars already have finalized their position with the Midwest-North Division title, and Eclipse is out of the postseason picture. The match is a mutual cancellation and does not count as a forfeit. The Red Stars wrapped up the WPSL regular season as the top seed in the Midwest-North with an 8-1-0 record and will face the No. 2 seed of the Midwest-South Division, FC Indiana, in a postseason match. FC Indiana plays its final regular-season match Monday night against Hammer FC, but Indiana already has clinched second place behind top Midwest-South seed Ohio Premier Women's SC. For the latest Red Stars news, visit WPSL.info. Since taking over the Chicago Fire's coaching duties, interim head coach Frank Klopas has preached about strengthening the defense on set pieces. The Fire had not allowed a set-piece goal during Klopas' first seven games at the helm. But David Beckham and the Los Angeles Galaxy put an end to that trend, as the Galaxy scored twice on set pieces en route to a 2-1 victory over Chicago on Saturday at The Home Depot Center in Carson, Calif.
Beckham scored directly off of a corner kick for the game-winner, and he provided a corner kick assist on a Landon Donovan header. Cristian Nazarit scored the Fire's lone goal in between Beckham's corners, with all three goals coming in an eight-minute span. 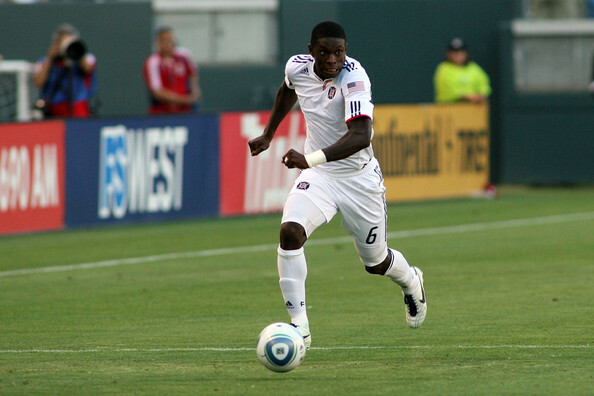 "We got too comfortable against the wrong team," Fire midfielder Patrick Nyarko said. "We lost concentration on a couple of goals, and that's unacceptable. A lapse of concentration against a team like this, they'll take advantage of it." LISLE, Ill. -- The Chicago Red Stars posted their most dominant offensive performance of the season, defeating Minnesota Kings FC, 9-0, on Sunday to clinch the Midwest-North Division title in Women's Premier Soccer League play at the Village of Lisle-Benedictine University Sports Complex. Amanda Cinalli (Cleveland, Ohio) and Shayla Mutz (Homer Glen, Ill.) each netted two goals to lead the way for the Red Stars, who earned the division's top seed ahead of FC Milwaukee Nationals. The top two seeds of the Midwest-North and Midwest-South advance to the postseason. With the Red Stars (8-1-0, 24 points) winning the Midwest-North, top-seeded Chicago currently is set to face FC Indiana if the standings hold. FC Milwaukee Nationals has clinched the No. 2 seed in the Midwest-North and would face Ohio Premier Women's SC if the current standings hold. Postseason details are forthcoming. The Red Stars avenged a season-opening 1-0 loss to Minnesota on June 1. That match has been Chicago's lone blemish to date as the Red Stars have posted eight straight victories since. English Premier League champion Manchester United announced its provisional travel roster for the Herbalife World Football Challenge this summer. One stop takes place at 4 p.m. Saturday, July 23, when Man U faces the Chicago Fire at Soldier Field (televised on ESPN2). 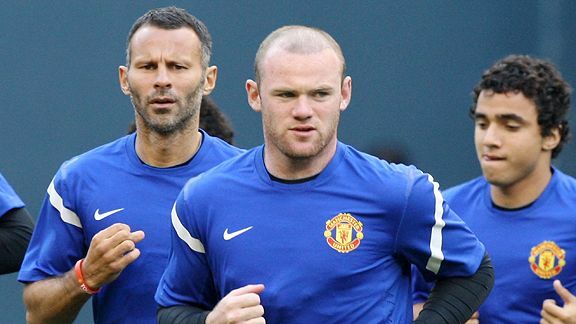 Noteworthy players include England forward Wayne Rooney and midfielder Rio Ferdinand, Portuguese winger Nani and veteran Welsh midfielder Ryan Giggs. BRIDGEVIEW, Ill. -- The Chicago Fire return to The Home Depot Center for a second straight week, but this time around they face the team that has dominated in that stadium this season -- the Los Angeles Galaxy. The Fire and Galaxy square off Saturday, and Chicago (2-4-12) is coming off a 1-1 draw against Chivas USA the previous week. The Galaxy enters the weekend in first place in the Western Conference with a 9-2-9 record, posting an impressive and unbeaten home mark at 4-0-5. "It's a different game than the Chivas game," Fire interim head coach Frank Klopas said. "We know the field. It's a little bigger field than ours [at Toyota Park], as far as the length of it. It's probably the biggest in the league, if I'm not mistaken. It's good that we played on it, but we have to play a better game than the last one." CHICAGO -- The Chicago Red Stars are in the driver's seat of the Women's Premier Soccer League's Midwest-North Division, and they potentially can clinch a division crown this weekend. Chicago hosts Minnesota Kings FC at 6 p.m. Sunday at the Village of Lisle-Benedictine University Sports Complex in Lisle, Ill. Tickets are only $10 for general admission seating. For tickets and more information about the Red Stars, visit www.ChicagoRedStars.com. The match includes a live webcast, which will be accessible through www.RedStarsGear.com. Sunday's match potentially represents the Red Stars' division clincher, and it would take place against the only team that has defeated Chicago this season. Host Minnesota edged the Red Stars, 1-0, on June 1, but Chicago has posted a six-game winning streak since then, outscoring its opponents 21-3 during this stretch to take the Midwest-North lead. "The team is just starting to hit its stride," Red Stars Head Coach Rory Dames said. "Our best soccer is still ahead of us." CLICK HERE to read the full Red Stars press release. Neuqua Valley graduate Michele Weissenhofer has seen soccer take her around the country and around the globe, since leaving the Wildcats in 2005. Weissenhofer starred at Notre Dame for four years, spent time with the U.S. U-21 national team and even played soccer professionally in Germany. Now Weissenhofer is back home, playing with the Chicago Red Stars of the Women’s Premier Soccer League. Weissenhofer and the Red Stars play the second of two dates at Benedictine University in Lisle on Sunday at 6 p.m. against the Minnesota Kings FC. CHICAGO -- Chicago Red Stars midfielder Amanda Cinalli (Cleveland, Ohio) was named Co-Women's Premier Soccer League Player of the Week along with FC Dallas' Teresa Eamma. Cinalli had five goals over the team's four-game stretch from June 29 to July 3, scoring in three of those matches to help catapult Chicago into first place in the Midwest-North Division. The University of Notre Dame alumna had a two-goal performance during a 4-0 win over the Madison 56ers on June 29, a two-goal effort in a 5-0 win over the Iowa Rush on July 2, and had the opening goal and game-winner during a 3-0 victory over Eclipse Select on July 3. Cinalli and Red Stars defender Jackie Santacaterina (Geneva, Ill.) were named to the WPSL Team of the Week VIII. Santacaterina, a University of Illinois alumna, scored a goal during the Red Stars' win over Iowa and anchored Chicago's defensive line, which allowed only two goals over its four-game stretch. BRIDGEVIEW, Ill. -- There is no dispute that Ghanaian forward Dominic Oduro is currently the Chicago Fire's hottest offensive threat. While Chicago has struggled in the scoring column, Oduro has netted four of his five goals over the Fire's past nine matches (Chicago only has seven goals during this stretch). Oduro is tied for the team scoring lead with midfielder Marco Pappa, and Oduro's goal total also equals a season high. But there lies a dichotomy in that Oduro's scoring rate could -- or should -- be better. 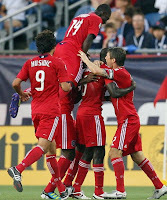 Oduro tallied Chicago's lone goal during a 1-1 road draw against Chivas USA last weekend. But Oduro created multiple chances during the first half where he could have added to the Fire's early lead. "I will guarantee that I'm going to get chances and try as much as possible to get the ball on frame," Oduro said. "It's better for me to get the ball in the right spot, or hopefully for a rebound for one of our midfielders to get the ball into the net. I was beating myself up about that [after the Chivas game]." CHICAGO -- The Chicago Red Stars of the Women's Premier Soccer League have renewed a partnership with Ollin Omnimedia to provide a webcast of their July 10 match against Minnesota Kings FC at the Village of Lisle-Benedictine University Sports Complex in Lisle, Ill. The live feed to the match will be accessible through www.RedStarsGear.com. "Our first priority at the Red Stars is to thrill our fans." said Arnim Whisler, an owner and GM of the Chicago Red Stars. "We have a lot of young familes who cannot always attend our games but really want to see us play. Webcasting is a low cost service to our loyal fans and we will do it as often as we can." Two-thirds of the Chicago Fire's matches this season have resulted in a draw. So it almost comes without surprise that Chicago netted its fourth straight stalemate against Chivas USA on Saturday at The Home Depot Center in Carson, Calif.
Perhaps the only variations that the Fire are putting together this year are the types of the draws -- lost leads such as Saturday, a comeback such as the New York Red Bulls, or a scoreless draw, which has occurred on four occasions. The Fire's 12th draw puts them two shy of tying FC Dallas' record mark of 14. If Chicago (2-4-12) had some victories to show for its efforts, the tone of this pattern might be different. As it stands, though, the draws are a continual sign of mediocrity on the scoreboard and in the Eastern Conference standings. "Eight games without a defeat, but at the same time we're not winning," Fire forward Dominic Oduro said. "That's something that we have to flip over and try to win games. We're doing well, we're creating chances. But at the same time we have to finish our games." LISLE, Ill. -- The Chicago Red Stars moved into first place in the Women's Premier Soccer League's Midwest-North Division with a 5-0 victory over the Iowa Rush on Saturday at the Village of Lisle-Benedictine University Sports Complex. Four different players netted goals for the Red Stars, with Amanda Cinalli (Cleveland, Ohio) leading the way with two tallies. Julie Ewing (Batavia, Ill.) and Jackie Santacaterina (Geneva, Ill.) also registered goals, and Michele Weissenhofer (Naperville, Ill.) had two assists as the Red Stars won their fifth straight and improved to 5-1-0 (15 points). Chicago moves ahead of FC Milwaukee Nationals (4-2-1, 13 points) in the Midwest-North standings. Iowa falls to 2-5-1 (7 points). "Our expectations always were to be playing the best that we can be at the end of the year," Red Stars Head Coach Rory Dames said. "If it's good enough to win, then it's good enough to win. If it's not, somebody's going to have to be better than us to beat us."